It's that time of year again, combating a hangover with food on Thursday and bouncing back from that food coma with some Friday shopping. Below we have what some of our favorite brands from across the city came up with for this year's Black Friday. 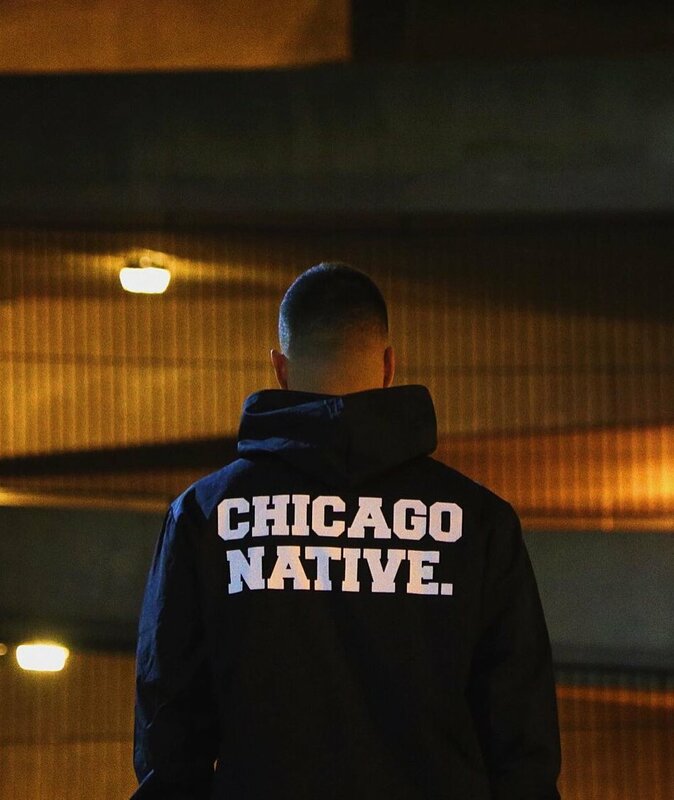 Whether you utilize the webstores or get active and visit the shops, we encourage you to grab something - you don't want to miss out on that next classic Chicago streetwear piece. Joe Freshgoods & friends have practically created a streetwear incubator over on Grand Ave. With new releases from each DBM, VITA, Sensei & SQUAD, all FTW in-house brands, no one is quite doing it like these guys. Sales kicked off last night late night for 'Midnight Madness' for the release of VITA's 'Cubby Bear' tees inspired by the World Series Champs in a very rare nod to the Northside. Things continue today both in-store and online, and based of sneak peaks caught on socials there's going to be plenty of reasons to get up and get over there today. The Chicago Native, which has since been claimed under the Native Society umbrella, ruled Black Friday last year with that all grey collection shown off by the Burns Twins. After a handful of successful releases since, the brand is back with two new pieces in time for the shopping holiday. Gaging off the feedback on socials, the fan favorite from the jump has been the button up waterproof windbreaker dubbed 'H2NO Shell', which marks the brand's first jacket as well as it's first departure from the font Helvetica Neue for it's staple Chicago Native print. The second piece, which should definitely not be slept on, is a longsleeve which a standout chest graphic utilizing the brand's slogan "You flew here, we grew here". Both are available online just til the end of tonight, so get them while you can. In addition to sales that go up to 80% off on select items, Wicker Park's staple shop St. Alfred unveils two big shoe releases for this Black Friday. The first, is a Reebok Classics collaboration with Kendrick Lamar for the Leather Lux - dark olive in color with gum bottoms, these go crazy. The second being the Triple Black Curry 3, the official shoe of the NBA's best player brought to you by Under Armour. Any remaining pairs are scheduled to hit the online store, but the shop is going to cater to the long lines out front first so you might want to make your way over there today if you really need these in your life.